RESOURCES, FREE DOWNLOADS & TOOLS TO GROW YOUR BRAND AND SAVE YOU VALUABLE TIME AND MONEY! Having the right tools are critical to your success. Listed below are several helpful guides and resources (the only ones that I personally trust and recommend). Feel free to contact me with any questions and I’ll be happy to help you make the right decisions for your brand. New resources and tools to help you grow sales are continually being added so check back often! From my weekly newsletter – subscribe above so you don’t miss out! 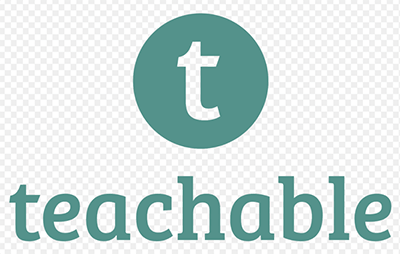 Sign up to be the first to know when we have added additional valuable resources! 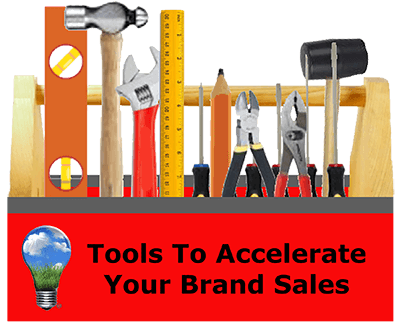 TRUSTED BUSINESS BUILDING TOOLS YOU NEED TO HELP YOUR BRAND SUCCEED! Sign up now to be the first to know when we have added additional valuable tools! This is an amazing step-by-step easy to follow course that will teach you what you need to know to build a website, launch and segment a email neutering program and much more. I wish this was available when I was in the process of building my website. I learned a lot from the course that has helped me manage my website. The course also helped me set up my email nurturing strategy. 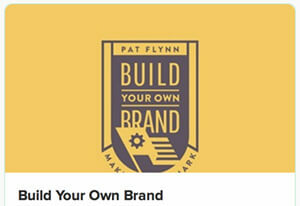 I highly recommend this course to anyone wanting to build a brand. As a small food and beverage business owner, you’ve got a ton of competing priorities that need your attention each day. I know how important it is for you to get the resources you need, when you need them – so that you can stay focused on growing your business! The FMI Emerge team and community understands first-hand the frustrations small brands face, and the challenges associated with growing sustainably when expanding distribution, enhancing operations, seeking financing and increasing sales. FMI Emerge aggregates all of the critical resources you need – educational training and the best minds in the grocery and food retail industry, into ONE place – to support you and your growing business! The ONLY email program and sales funnel system I use and trust. Leadpages and Drip convert subscribers into loyal evangelists. Leadpages is a digital marketing application that enables marketers to generate leads by optimizing web traffic conversion from ad to action. Unlike other ad campaign and landing page tools, Leadpages allows marketers to build quickly and spend wisely, by demystifying Facebook ads and making it outrageously easy to publish high-converting landing pages. At Leadpages, the mantra is Grow Boldly. 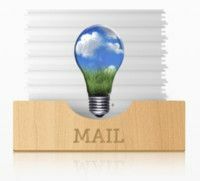 The ONLY email program I use and trust. Drip converts subscribers into loyal evangelists. Thousands of marketers are graduating from typical email platforms, and making more money with intelligent marketing automation from Drip. Embrace true marketing automation with their visual workflow builder. You’ll easily design comprehensive, custom email campaigns and simplify your sales funnel. Savvy brands need to include a digital strategy to amplify their success in traditional retailers. Learn how to accelerate your growth online. This years conference includes insights on how to sell on Amazon, using social media to grow sales, how to get the most from paid media, email marketing and SEO strategies, and much more. This years event is October 5-7. 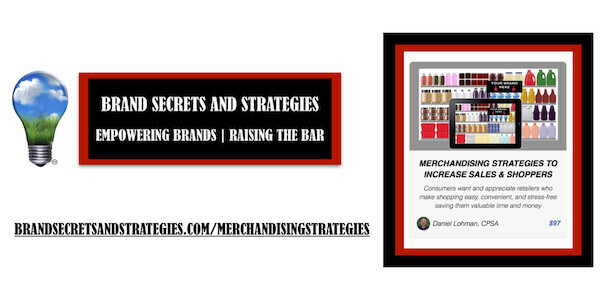 Special 10% discount for the Brand Secrets and Strategies community. Use the discount code CMS10. Click on the button to the left to register. ** I have an affiliate relationship with this company. While you pay the same price, I may get a commission. In addition to sharing my 25 years of experience, more than 50 well known industry thought leaders, CEO’s and Founders of successful industry organizations and brands candidly share their insider secrets and advice with you. 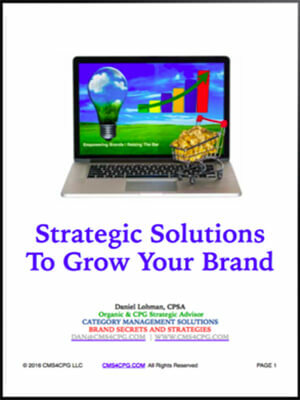 Learn actionable insights and strategic solutions to grow your brand, avoid the pitfalls and save valuable time and money. Search to choose your favorite episode! 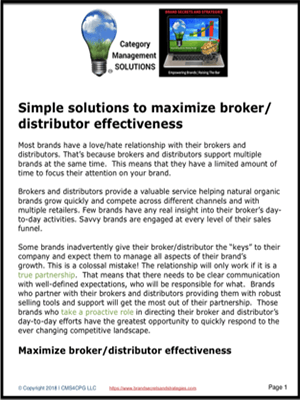 Optimize your selling potential with an effective distribution strategy that helps your brand standout on a crowded shelf. 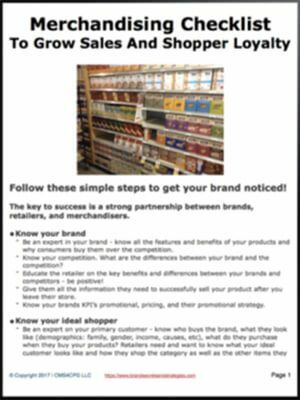 Ensure that your brand can easily be found and the category is easy to shop. Price optimization is critical to your brand’s ability to compete effectively on a crowded shelf. Having the right balance in your pricing and promotion strategy will optimize every selling opportunity. 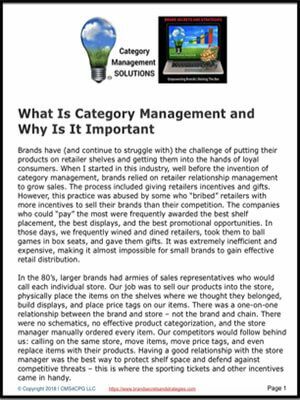 Distribution is the key to sales growth BUT it’s important that you have the right distribution/mix (product assortment). You need to put your best foot forward at all times. 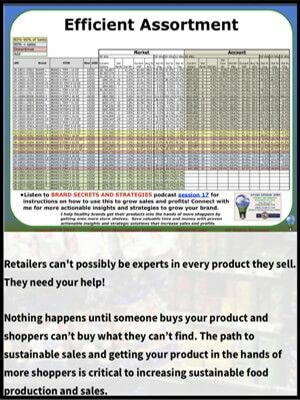 Make it easy for shoppers to find your products. 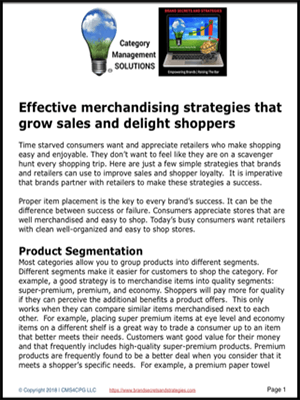 You need to clearly understand each retailer’s expectations and the strategies they use to meet their shopper’s needs. Creative brands that think out-of-the-box have a significant competitive advantage and stand out on the shelf. 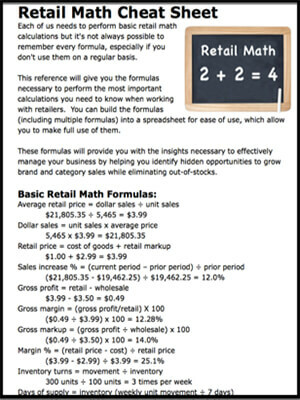 Trade marketing is typically the largest line item on a brand’s income statement. Brands frequently feel as though they are ATM machines for retailers, brokers, and distributors. 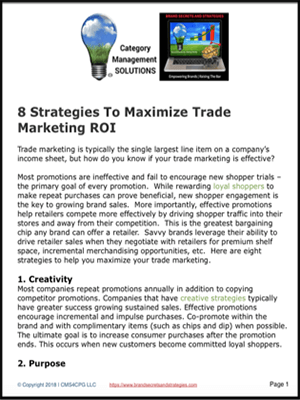 Maximize your promotional spending with targeted strategies. Loyal committed shoppers become your greatest brand ambassadors. 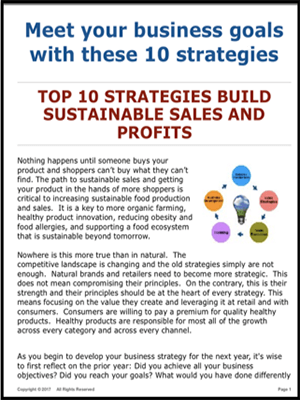 Leveraging this important asset with retailers is the key to optimizing every selling opportunity. 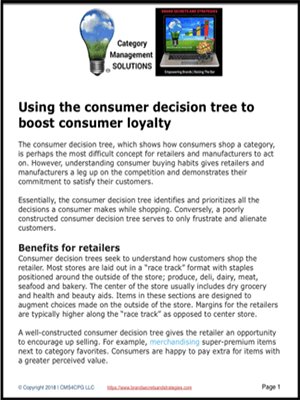 Learn how to attract new consumers and convert them into loyal shoppers. 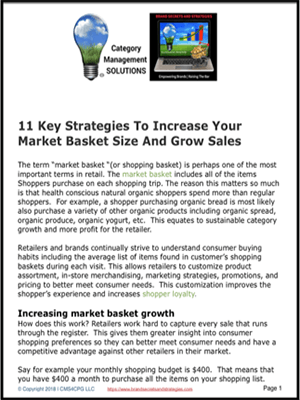 Getting your product on a retailer’s shelf is just the beginning. You need to effectively manage every aspect of your sales funnel to avoid any potential missteps and issues that cause your brand to be discontinued. Scorecarding insures maximum product performance at all times. 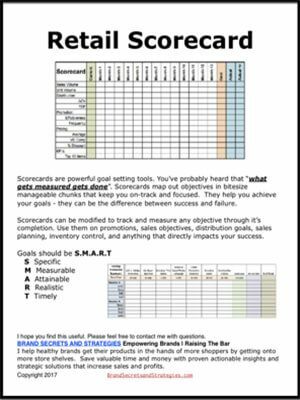 Scorecarding aligns every aspect of the selling process in a unified laser focused effort to achieve maximum sales and profitability. Develop effective brand building strategies, key performance indicators (KPI’s), that maximize every selling opportunity and optimize your brand’s performance. A compelling assortment that is effectively merchandised is critical to your brand’s overall health.